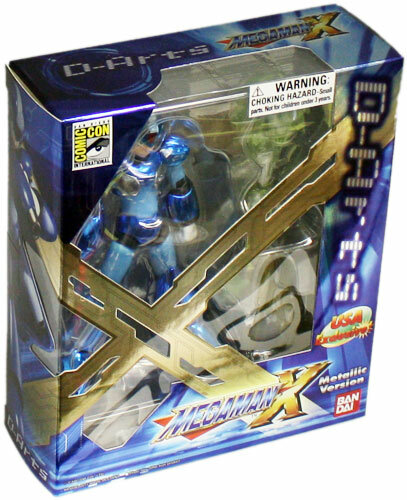 Attention all Megaman fans: presenting Bandai D-Art's mouth watering, Comic-Con exclusive, super shiny version of Megaman X! 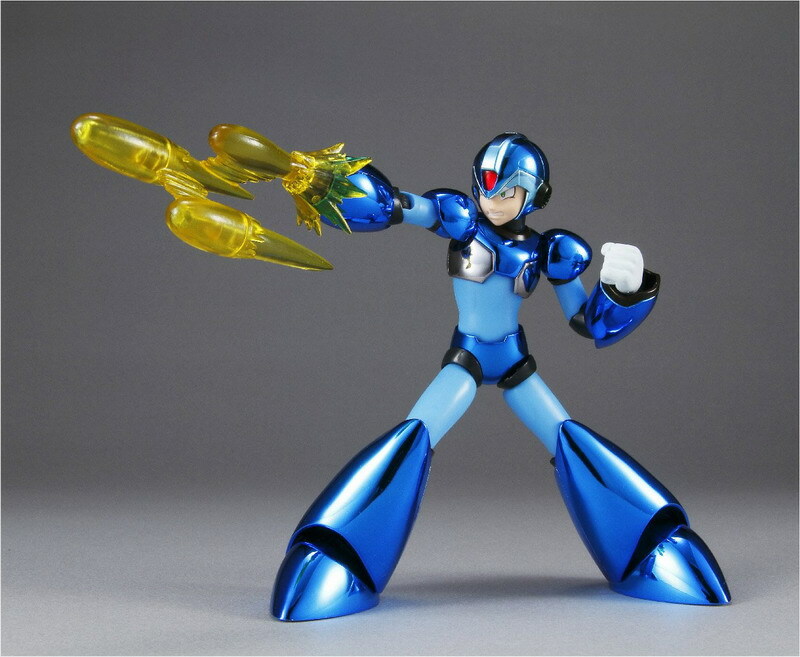 Each Megaman X figure features countless points of articulation for maximum poseability. 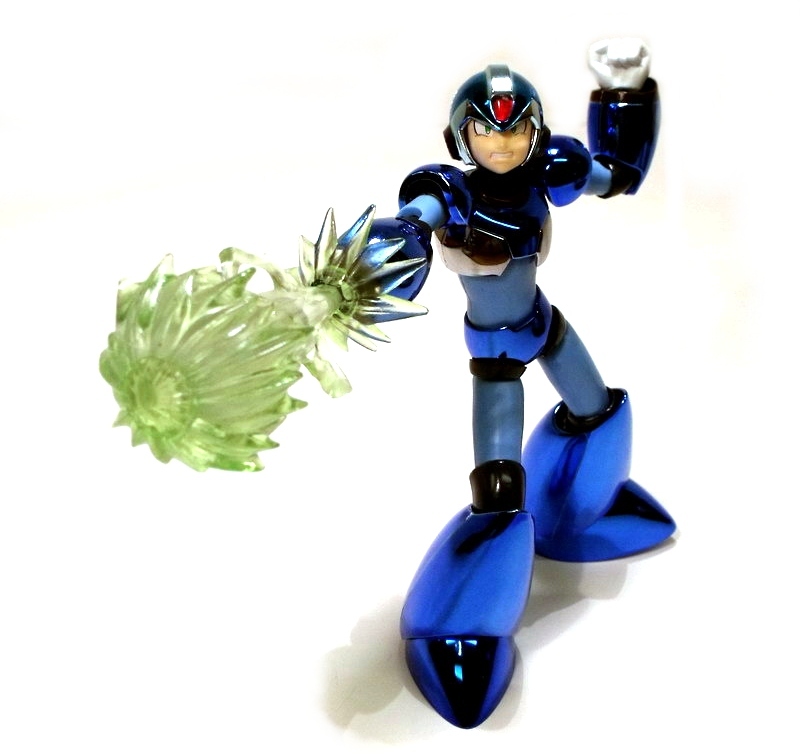 If its humanly possible then he can do it! 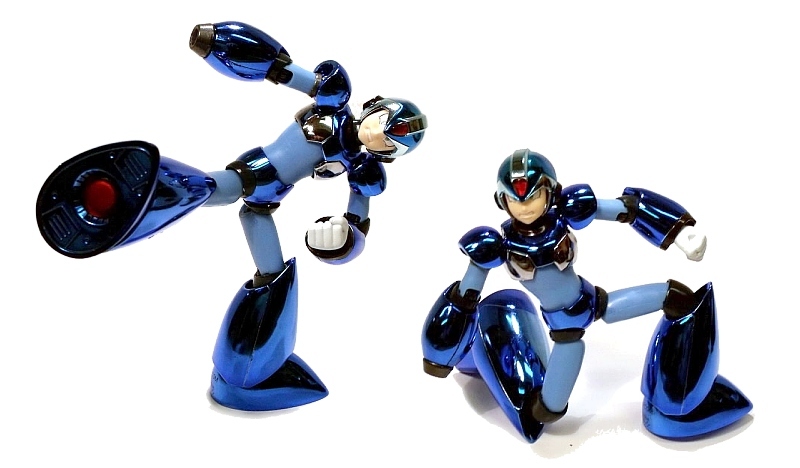 Of course each figure comes beautifully sculpted & meticulously hand-painted for a museum quality finish that will make even the most discerning collectors drool! 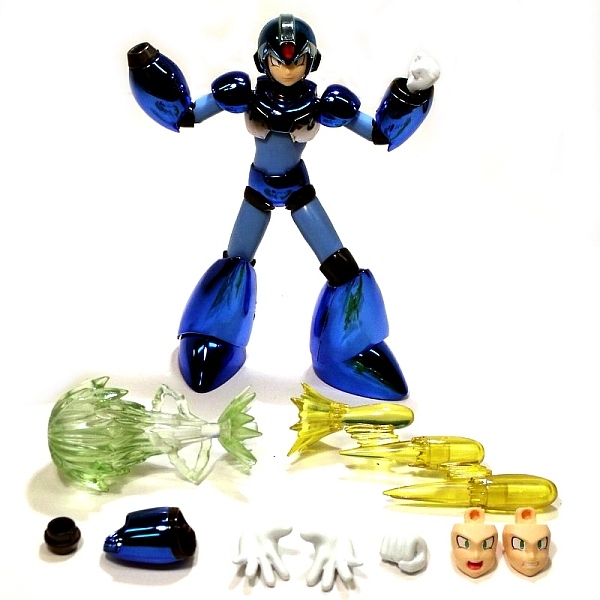 But wait...Did I mention the extras?...lots and lots of extras... For example you get 3 interchangeable faces, X-Buster blast & triple shot rockets, and interchangeable arms and hands! 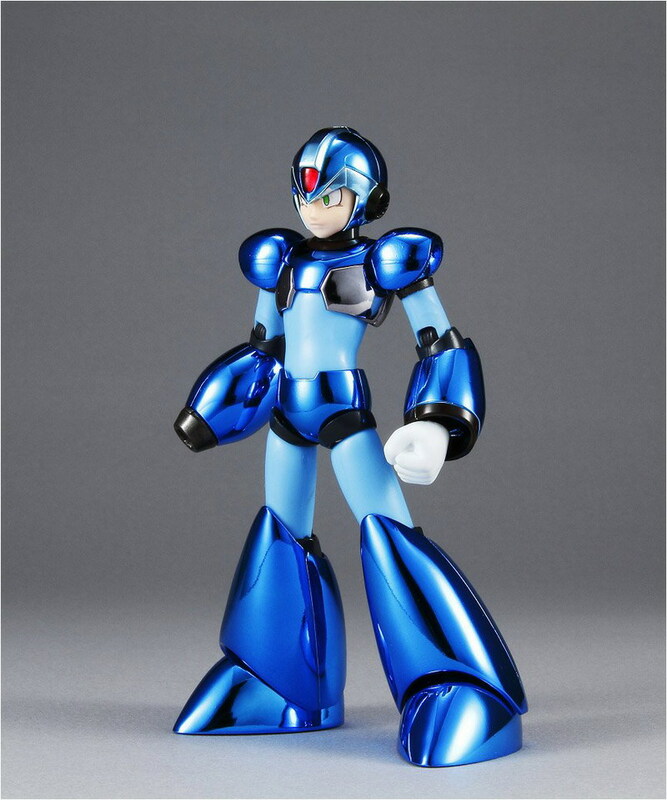 Needless to say this is a must-have for any Megaman collector! 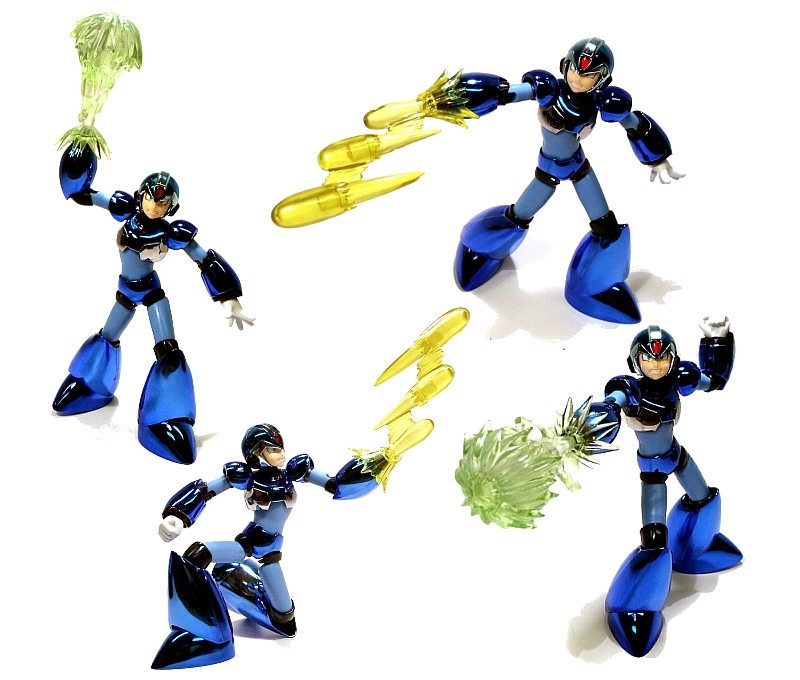 These Megaman X figures were exclusively available to San Diego Comic-Con 2011!